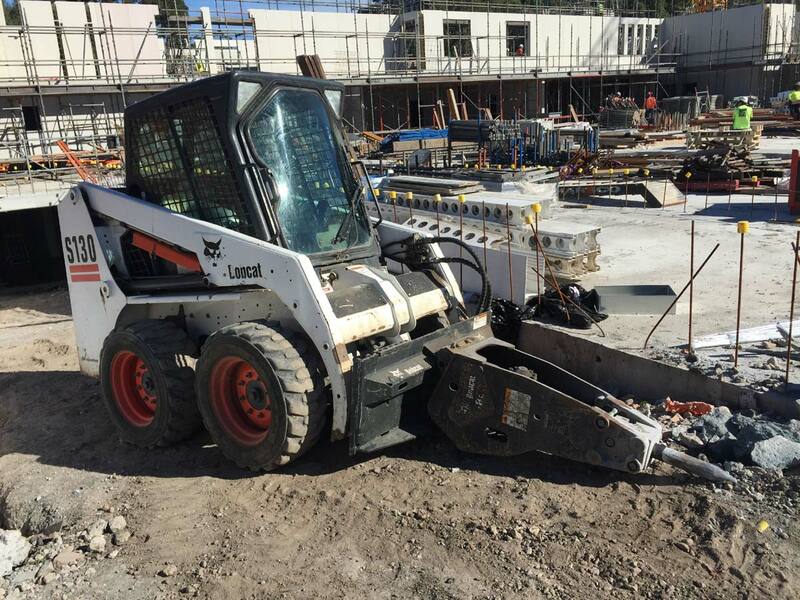 Wollongong’s Bobcat hire contractor, ABV Excavations provides earthmoving, excavator and tipper truck hire services for the Illawarra area. Our service is guaranteed to be prompt, honest and reliable. 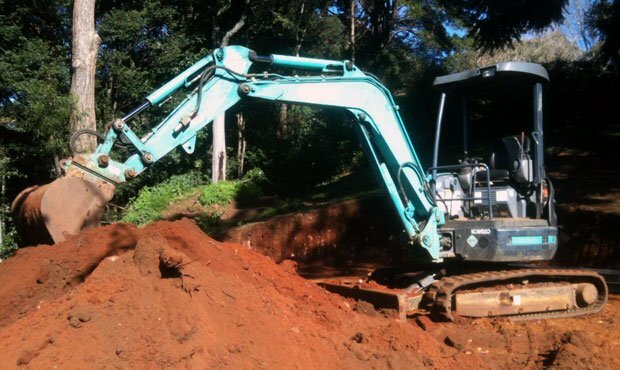 We have been in the business of digging and moving earth for satisfied Illawarra customers for 25 years. 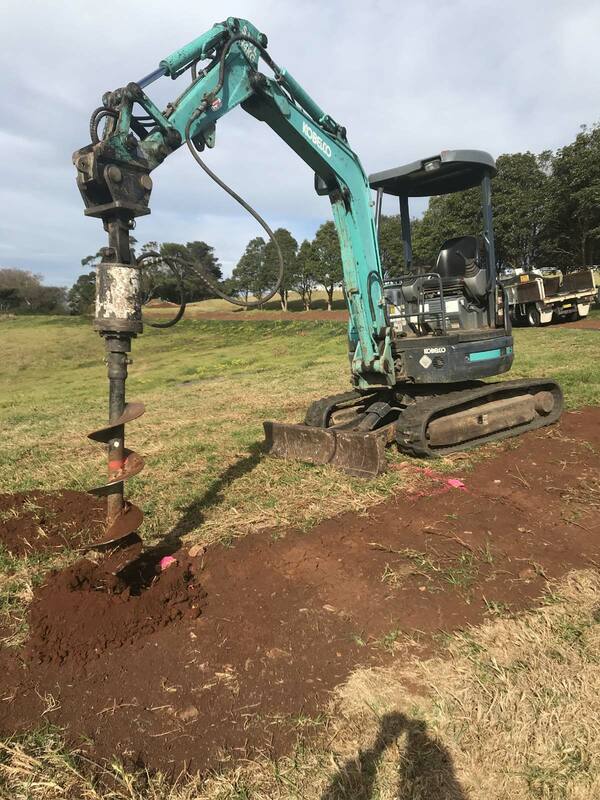 We have a Bobcat, a 3-tonne excavator and an 8-tonne tipper truck ready to work for you on your Illawarra earthmoving project. 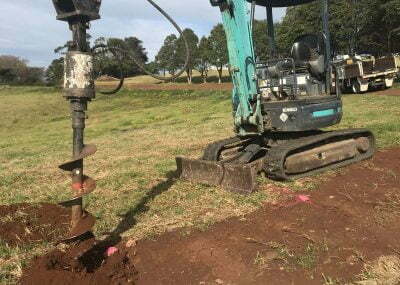 We have a six day working week for our Wollongong excavation service. We service the Illawarra from Helensburgh to Gerroa. No matter which suburb in our service area that you need us, we offer the same reasonable rates. We welcome small jobs and our minimum hire time is just one hour. Most others require you to pay for a minimum of 4 hours hire. So if you have a very quick job you will only need to pay for one hour and you’ll save substantially. 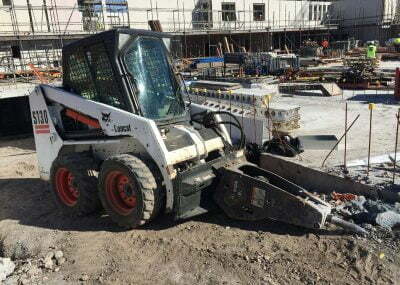 The widths of our Bobcat and excavator are just 1550 mm for each, so we can gain access where there are only very narrow entrances. 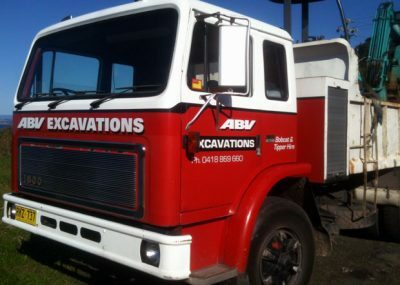 We can level an area, dig trenches, excavate building footings (or foundations). 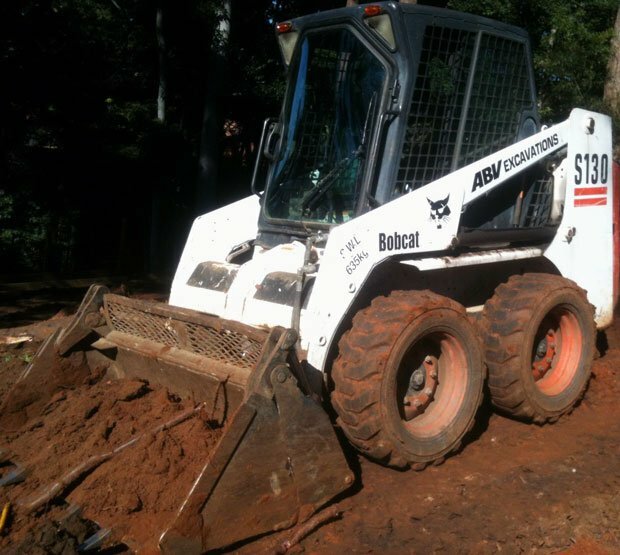 We also do block clearing, site preparation, drainage work as well as rubbish removal. 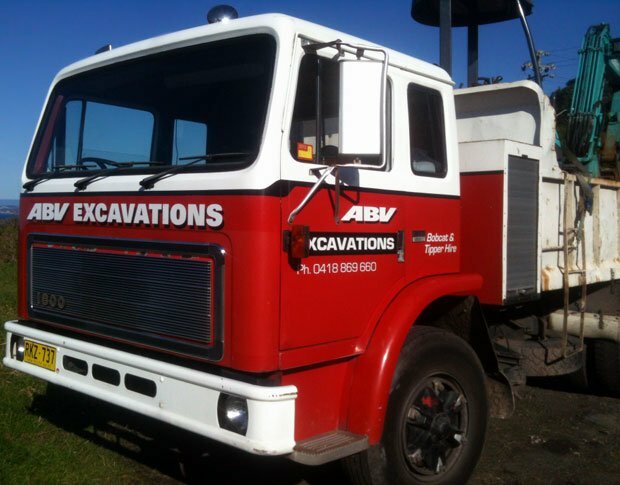 ABV Excavations owner-operator, Steve Skinner is happy to provide earthmoving quotes and advice free of charge. 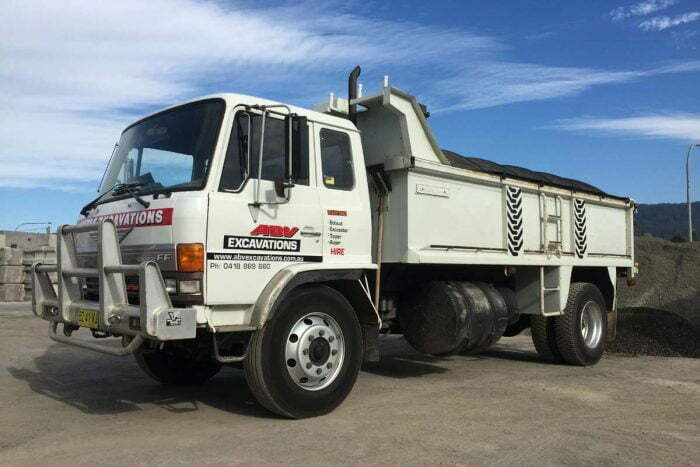 You can contact us any time by email or call Steve directly, any day of the week until 9:30 pm on his mobile: 0418 869 660. 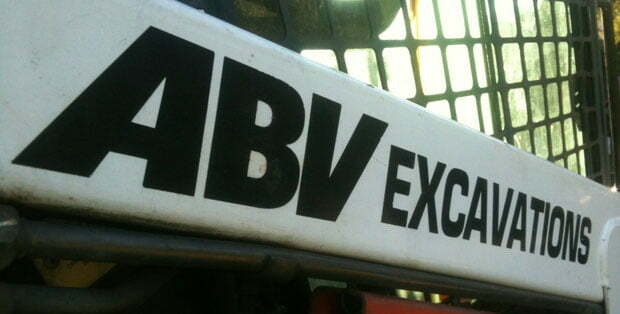 Call today for tipper, excavation and Bobcat hire in Wollongong.